The holidays are over, and now we can relax from those overbearing relatives. Finally, no more bumping into cousin X, Y, and Z when going to the restroom! This Monday, we just want to alleviate those post-holiday blues with some much-needed laughs. Thus, we scoured the interwebs for the best memes to share for our first Meme Monday of the year! Money is a lot like love… it comes and goes. Rinne totally relates. 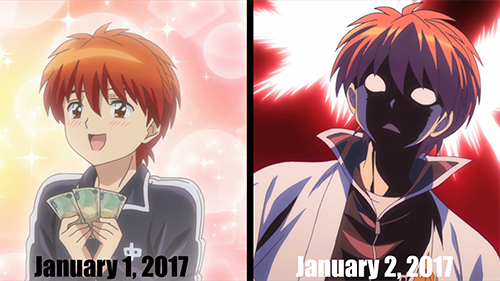 Talking about love (Monthly Girls' Nozaki-kun) WARNING! SPOILER ALERT! This hilarious video of Prozd sports commentating on Monthly Girls’ Nozaki-kun final scene put a huge smile on our faces. We ended up on the floor, poor Chiyo. Let today be a MEME-ingful Monday! 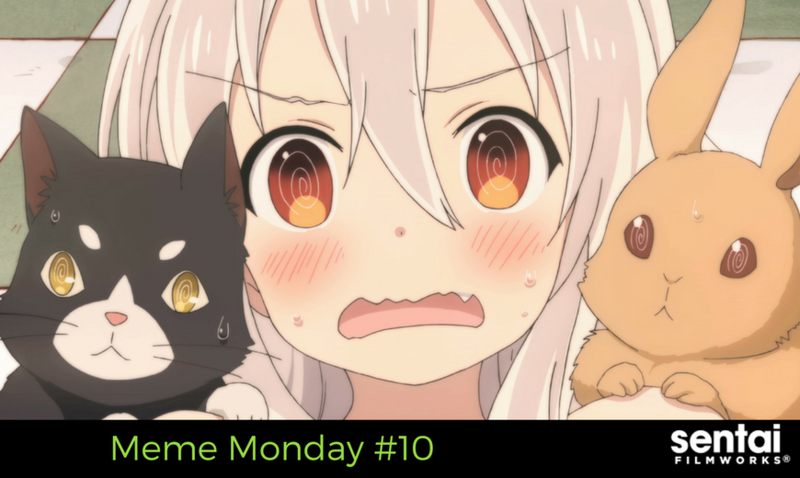 We compile a new Meme Monday every third week of the month! What anime memes are your favorites? Do you have any good ones to share that we can, in turn, share with the rest of the world next month? Let us know on Facebook, Twitter, Tumblr, Instagram and Google+.